When I tell people what I do (if and when I elaborate past ‘Personal Chef’) I get some very mixed reactions. Sometimes it’s a conversation ender, many people tell me personal stories about cancer in their life, but for the most part, people tend to ask questions about the style of food I make. More than once I have been asked if I spend my days making broccoli salad. In general the answer to that is no, each client has their own personalized eating plan that changes from one day to the next depending on the unpredictability of cancer treatment feelings. However, today the answer is yes, I am all about the broccoli salad. Broccoli, the tree-like vegetable, all green and low glycemic, a proud member of the crushing cancer mafia family, Crucifer, is a bit of an anticancer stereotype, I get it. But if you really think about it, when was the last time you ate broccoli that wasn’t all wrapped up in Asian noodles? 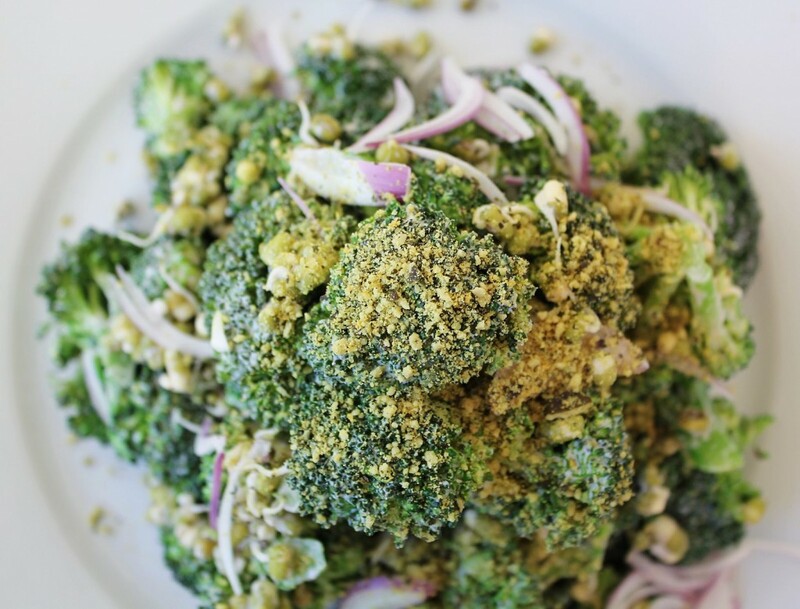 When was the last time you ate it in a ‘if there was no broccoli, this dish couldn’t happen’ kind of a way? This broccoli salad will make the answer to that question much easier the next time you’re asked. 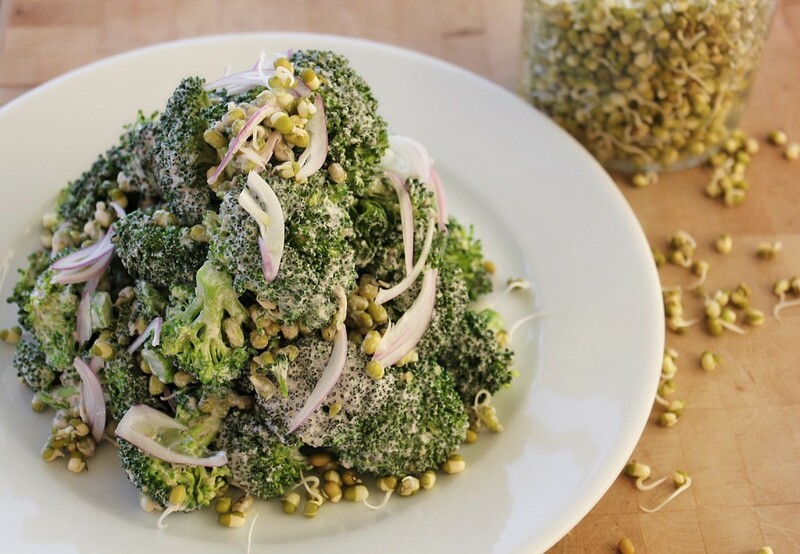 It celebrates the broccoli’s texture and takes advantage of its absorbent veggie afro by giving it a really tasty and rich dressing to absorb. It tastes so good, it will turn you and your tumor-suppressor genes on, and you’ll think about it when you’re eating other less fun salads. This could very easily be an entirely raw recipe if you didn’t lightly steam the broccoli (as I have done), and left it raw. There are benefits to eating broccoli raw and cooked so try it whichever way sounds appealing today, and try it the other way next time. 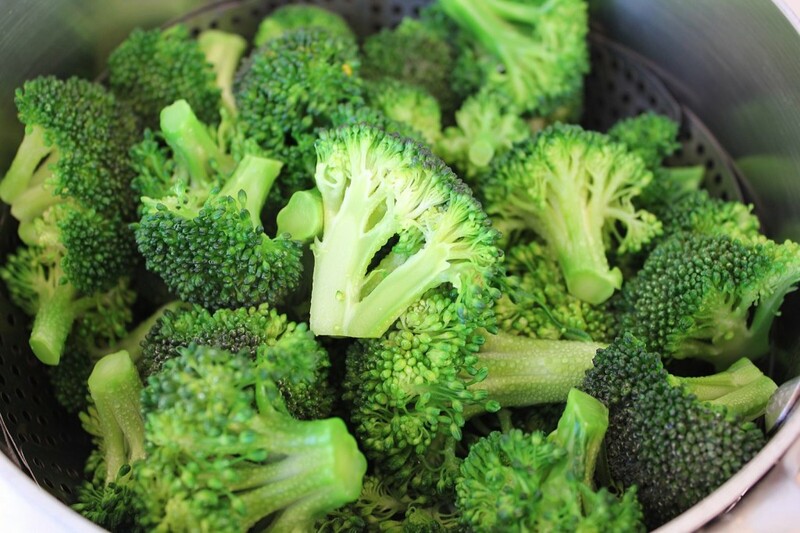 The key if you are going to cook the broccoli is to steam it until it has just turned bright green. This only takes a minute or two, and it ensures that the broccoli’s immune-boosting glucosinolates will still be absorbable and its vitamin C won’t have been cooked away. Did I mention that broccoli has twice the vitamin C of an orange? If you have Chef-like skills, you may be mentally prepping an ice bath to throw the broccoli into once it’s cooked, to shock it and stop the cooking process -but not so fast! Instead, just spread it out on a baking sheet or platter, it will cool down quickly without the additional vitamin rinse that an ice bath creates. It also helps the excess moisture to evaporate so that it doesn’t water down our dressing –this is important. The mung been sprouts add some raw enzymes and protein as well as a bit of crunch (the healthiest croutons ever?). They are also super easy to grow and will make you feel like you are growing your own vegetables which feels especially good if you live in an apartment. 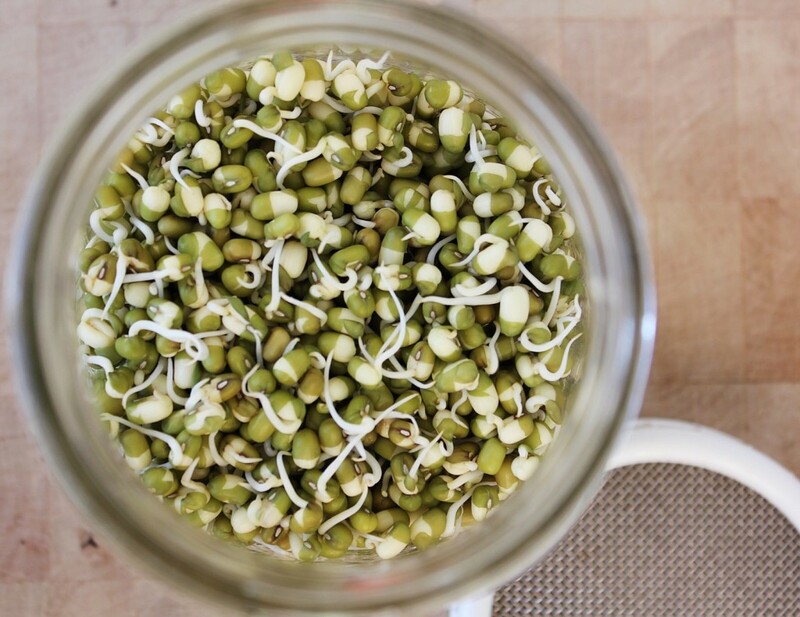 Just soak ¼ c of mung beans in water overnight, and drain and rinse them. Put them in a mason jar and cover with cheesecloth or a clean dish towel with an elastic holding it in place, (or a lid with a screen if you have one). Now twice a day fill the jar with water, let it sit for a minute, and then drain as much of the water off as you can. It should take 1-2 days of sprouting to get a little tail, and then they are ready for the salad! Store whatever you don’t use in the fridge and add them to your salad, soup, smoothie, hummus, guacamole or anything else you can think of. 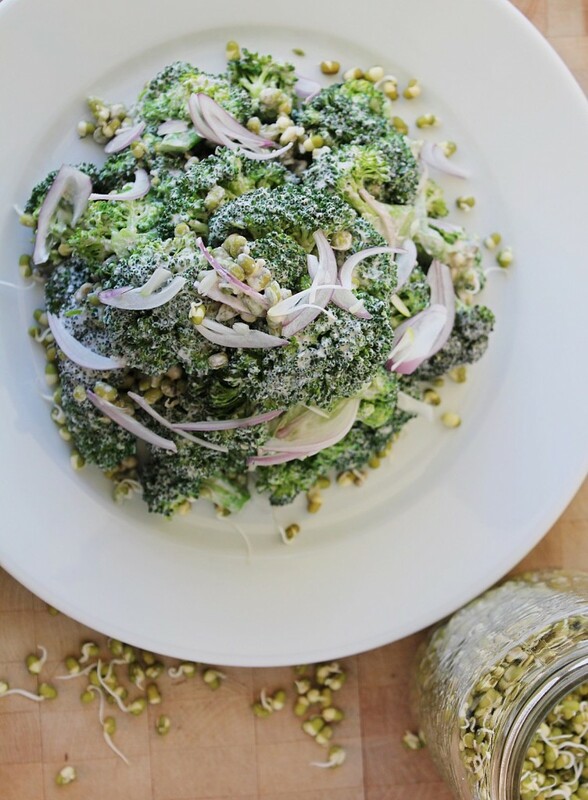 Sprinkle with some of our vegan Parmesan cheese and enjoy this broccoli salad and all of its stereotypical healthiness and unexpected awesomeness! I would love to hear from you guys! Let me know if you have any questions or comments in the comments section below. 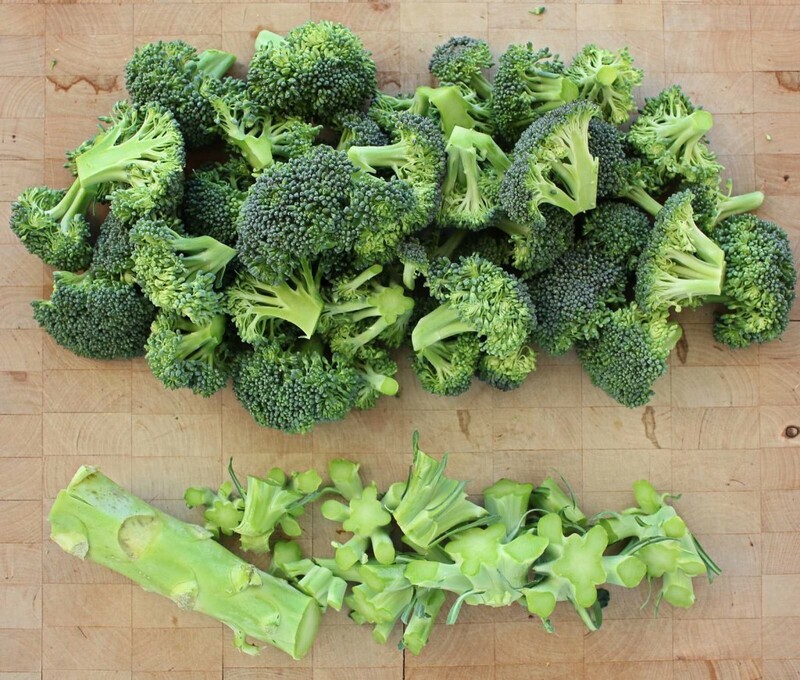 Lightly steam the broccoli florets until they have JUST turned green. Spread them out flat (on a baking sheet or platter) to cool off and drain off as much moisture as possible. Toss with the sprouts, shallot and caesar dressing. 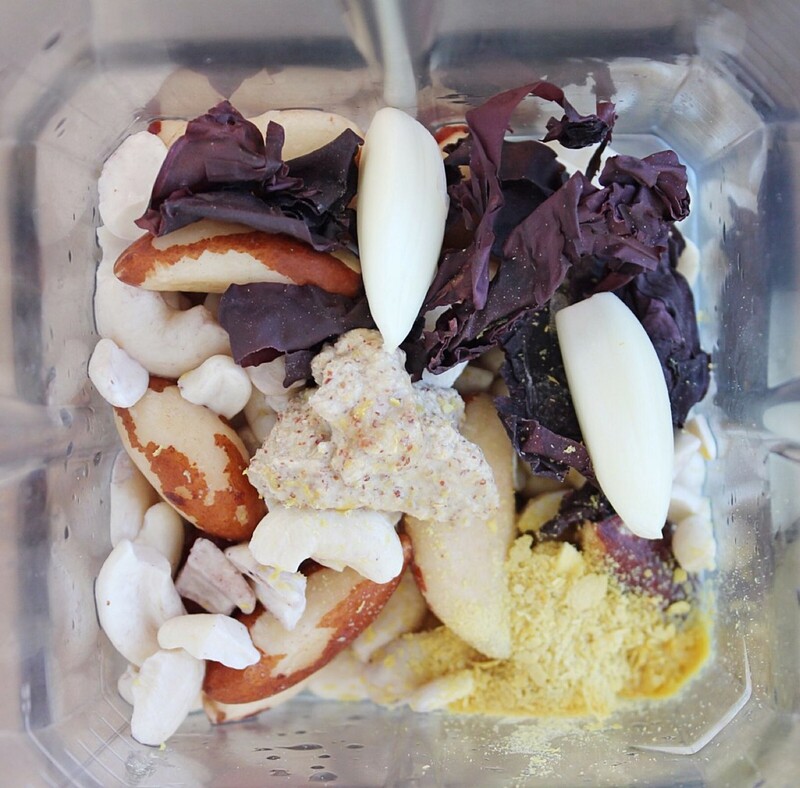 In a blender, blend all of the salad dressing ingredients together until smooth. Thanks Dirga! Pretty good for broccoli, hey?